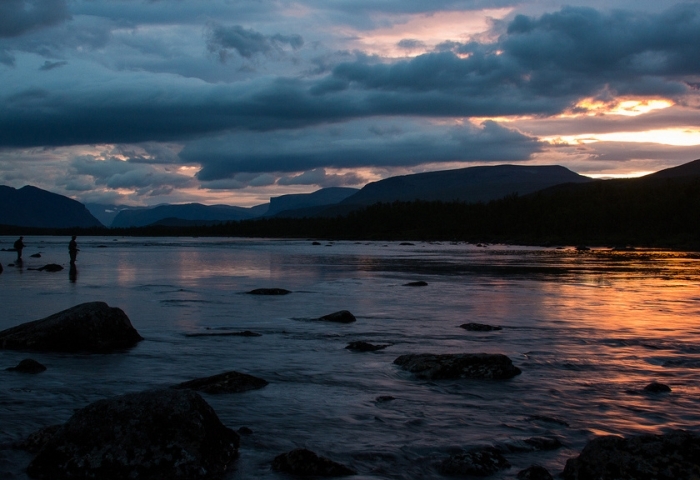 Swedish Lapland has four wild mountain rivers with tributaries, several small forest rivers, crystal clear mountain lakes and deep lakes. In addition, a long coastline with a stunning archipelago. 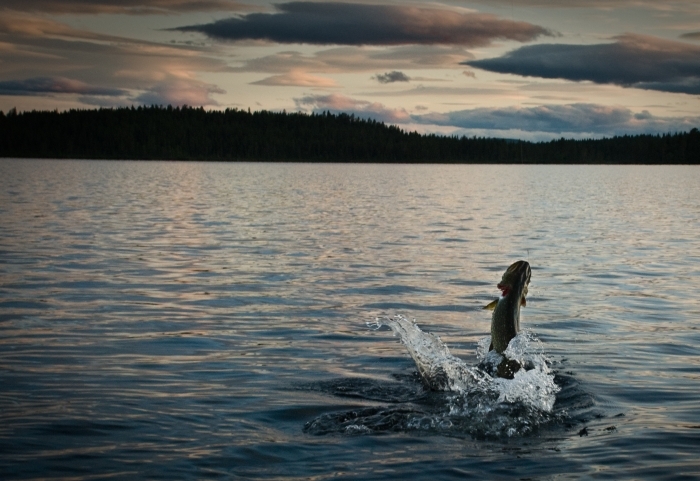 Well-developed services and infrastructures make it easy and safe to experience fishing in any water whatsoever. Be one of the lucky fishermen who can find their special dream of fishing in one of the thousands of waters in our region - there's plenty of space for everyone! 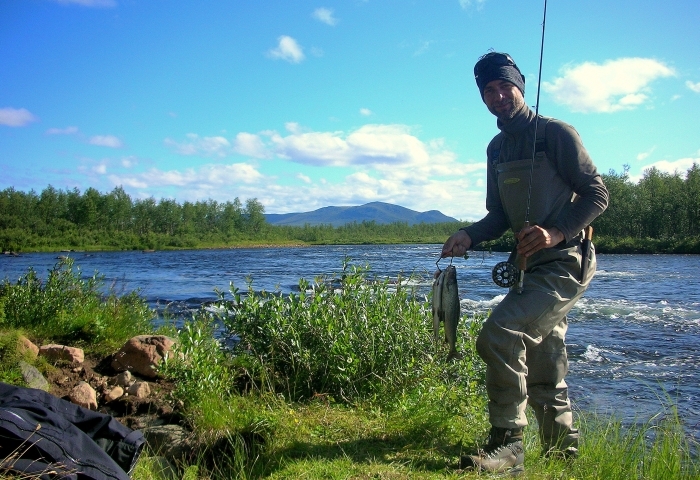 Especially for the flyfisher men, but of course also for other sorts of anglers, Lapland provides a superb experience. Many of the waters are virtually untouched! 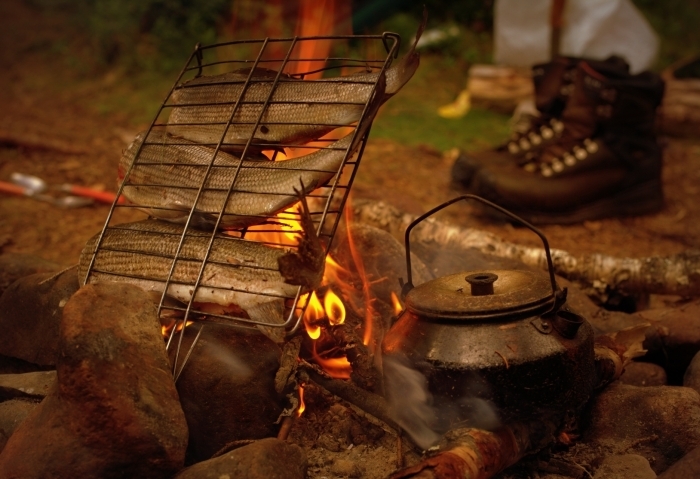 Small trout streams, forest lakes or the larger slow flowing rivers, most of which offer a variety of fish including perch, pike, trout, white fish, grayling and of course arctic char. Please get in touch with us, and we will try to help you to make your fishing trip an experience you will remember for a long time!